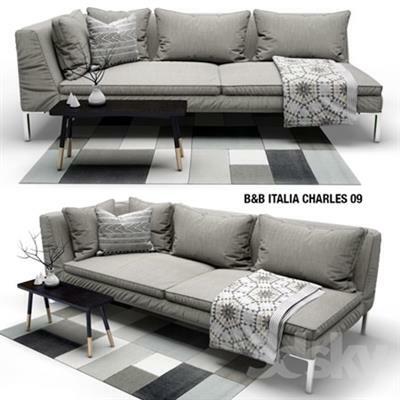 Sofa set with decoration: table, vase, rug, blanket, pillow. Formats in the archive: .FBX .MAX2011 .MAT All textures have. FBX format does not understand the material, so they need to upload the file separately from the mat. The .max format, everything is OK.